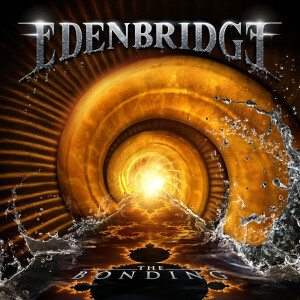 Edenbridge is an Austrian symphonic metal band who absolutely must be heard. Their eighth and latest record, The Bonding, is slated for a June 24 release and will completely blow your mind. Originally founded in 1998, the band has released new music quite often and The Bonding is just another chapter in the epic story that is Edenbridge. Loaded with complex instrumentals and dynamic symphonic elements combined with trance-like vocals, this is one record that should pick up some steam in the States with international bands starting to make their mark here. Edenbridge took three years to complete The Bonding as opposed to one or two years with previous records and it shows. This is one giant power-punch that will take forever to catch your breath from.